Hi there friends and fellow crafters. LeeAnn here with my project for Evaney's Stamp Designs. 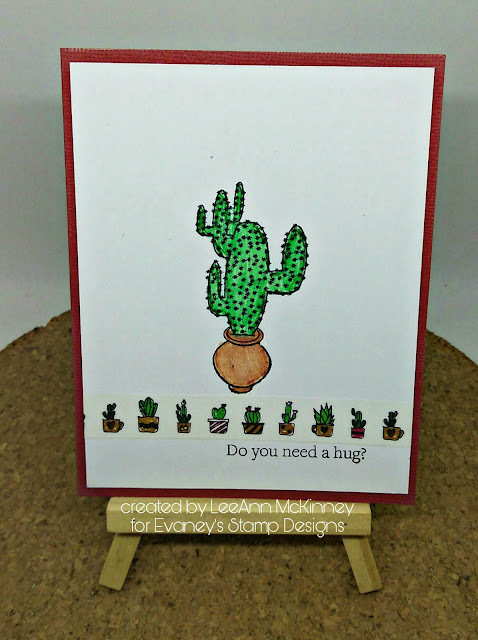 I used the Prickled stamp set for this clean and simple project. To do this I first stamped the image with Ranger Archival Black ink. I then used Prismacolor Premier Pencils, and Gamsol to blend. I added a strip of Washi tape from Peek A Boo designs to finish off. I added my panel to a Rust colored card base.